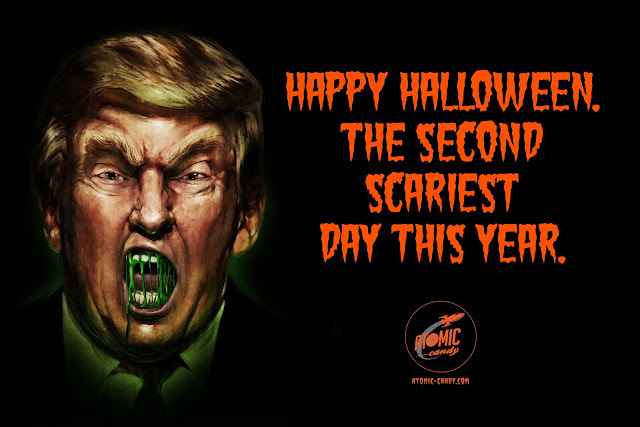 With Halloween and the presidential election coming up Innocean created these two 'spooky' print ads from Atomic Candy (an old school candy store in Dallas) focused on bringing the old fashioned feel back to candy stores. The campaign features the two angry, eerie presidential candidates (Hillary Clinton & Donald Trump) with mouths full of candy, enjoying the gooeyness of their sweet treats. 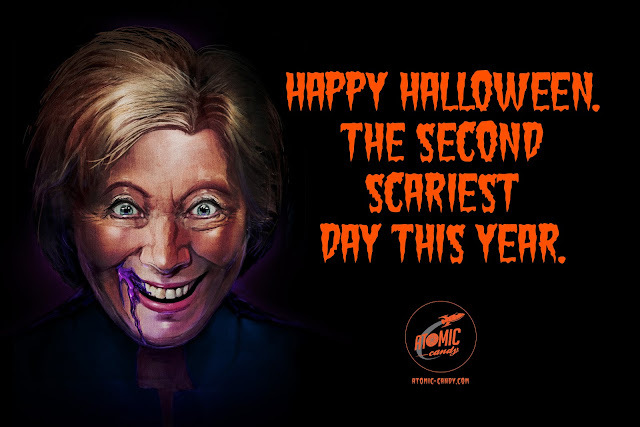 With the tagline "The Second Scariest Day of the Year," the illustrations contest that while Halloween is generally known for being the 'scariest day of the year,' this year's political election is giving the holiday a run for it's money! Our posters for Atomic Candy express this sentiment, without taking sides, in a humorous way. The work combines candy consumption, Halloween, and the candidates to create one deliciously witty concoction.